Serenity Farms produces and delivers food in regions that have limited or no access to fresh produce. These regions currently import food, usually through air freight, which has a large environmental impact, reduces quality and availability, and creates inconsistent supply. 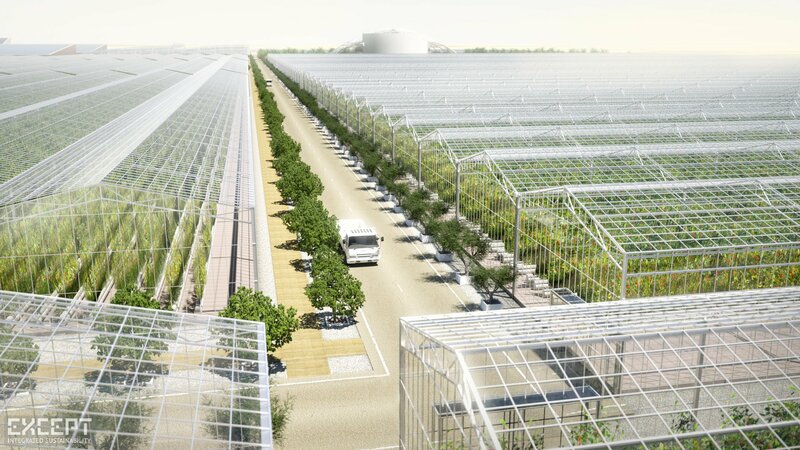 For example, in Saudi Arabia, where we are looking to develop a Serenity Farm, over 80% of all fresh food is imported. Humanity faces a global challenge of feeding 9 billion people sustainably in 2050. It is estimated that in today’s world nearly 1 billion people are malnourished. A changing climate, on top of dwindling resources needed for agriculture, complicates our collective mandate to grow more food in time. Food security and effects on national autonomy are of significant concern to many countries, especially those with a low domestic food production capacity. This is especially true for arid regions, where often no fresh produce source is available at all. 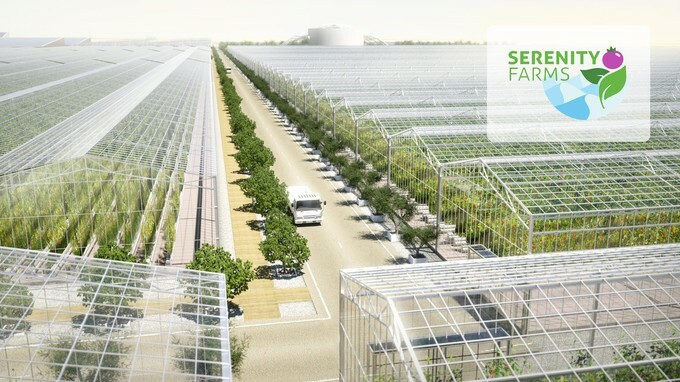 To make local sustainable food production in the desert a reality, we initiated the Serenity Farms project. In arid regions, water is the most valuable resource, above anything else. For these regions, we’ve develop a unique water-saving growing system. It does not use any fossil water sources, and it saves more than 95% of water compared to open field agriculture, as well as more than 70% compared to currently available greenhouse systems. Serenity Farms gets its electrical power from the sun, and recycles its waste water to extract as much valuable nutrients as possible. 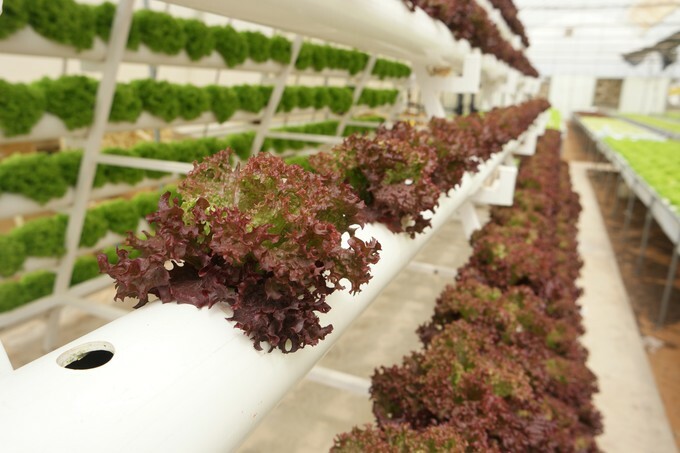 For this we include innovative growing systems, saline growth, algae, and aquaculture. The roadmap for Serenity Farms aims towards towards self sustained growing in energy, water sourcing, and waste processing. Additional areas of ambition are sourcing of sustainable nutrient sources, and CO2 injection. 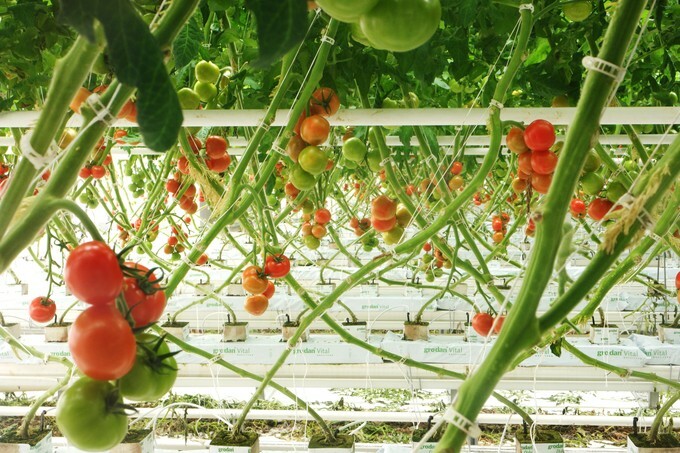 Serenity Farms produces organically as much as possible, closing its biomaterial loops, and being as circular as possible in its operations, including packaging. To meet the complex technical challenge of feasibly producing food at a profitable rate in difficult environments, Except created an advanced simulation and modelling tool. It integrates high-end technological solutions for climate control, water treatment, energy production, and nutrient mixing technology making it fully adaptable to different environments. The tool enables testing assumptions and the different tradeoffs between technologies, resources, land use, logistics and operational decisions, as well as profitability. 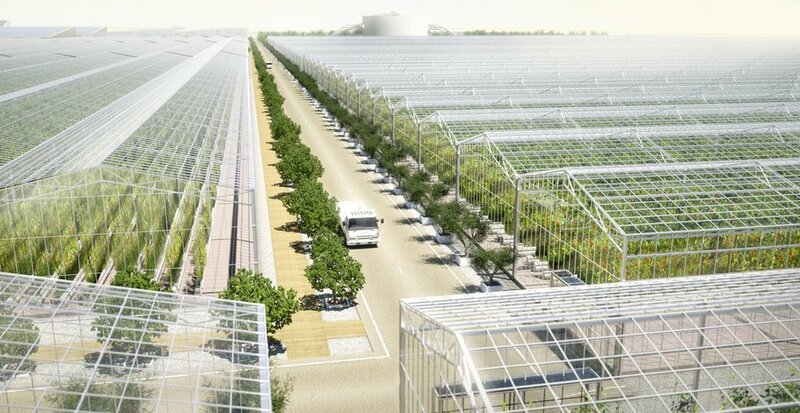 Serenity Farms initiates a new food production industry for the future. It provides fresh food to the region, long term high quality jobs, education, and economic growth. It increases national food production and food security, in addition to reducing environmental footprint and resource use.